8x10 black and white Packard Co. file photograph of a 1937 Packard right side view, parked on road, house in background. 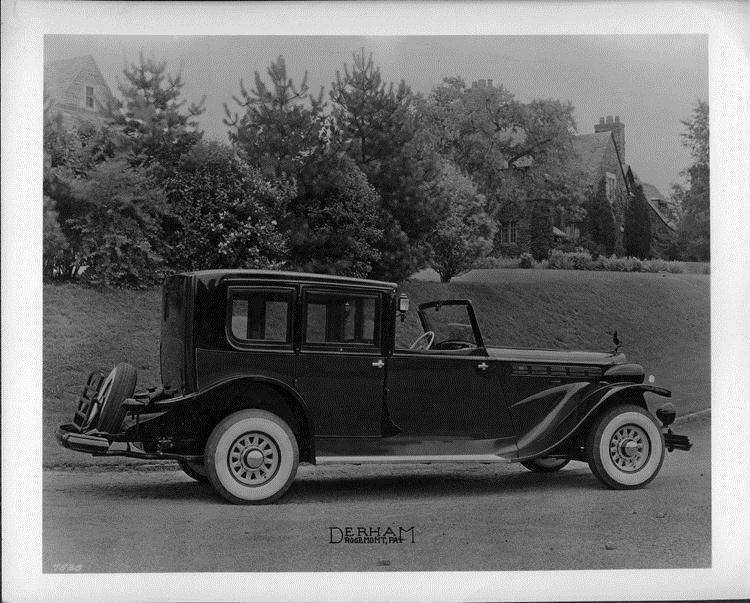 Inscribed on photo back; Packard 1502, super eight, glass panel brougham, body by J.J. Derham. Stamped on photo front Derham, Rosemont, Pa.